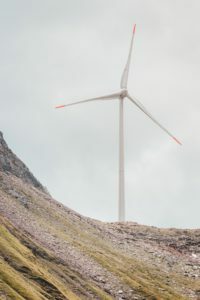 In the wind sector, composites made from epoxy resins and reinforcing fibres have become a standard component of large-sized windmill rotor blades and are also used in smart grids and turbine insulators. Epoxies are used to coat steel and concrete towers of windmills, as well as to impregnate the concrete or steel itself. Wind turbine poles in the North Sea are coated with epoxy resins to protect the structure from salt water corrosion. Finally, materials created with epoxy resins are an indispensable component in offshore, wind energy farms due to their durability and low brittleness, light weight and high mechanical strength. 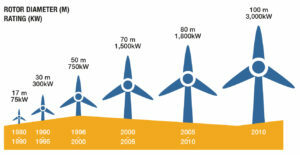 Wind turbines have grown larger and taller over the last 30 years thanks in part to the increased use of epoxy resins. 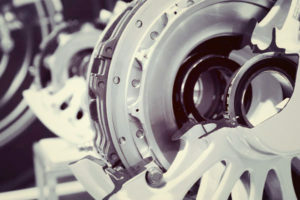 Epoxies improve the strength-to-weight ratio of turbines’ structure, enabling the manufacture of longer blades which would be more difficult to produce otherwise. Longer blades, in turn, promote the growth of the EU’s renewable energy output and European energy exports. 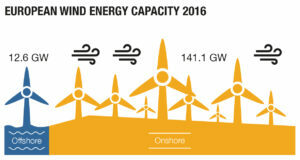 Wind energy products account for the largest segment of epoxy applications, using up to 51,400 tonnes of epoxy resins produced by ERC members every year. for €7 billion in turnover and some €1.5 billion in economic output to the European economy per year.